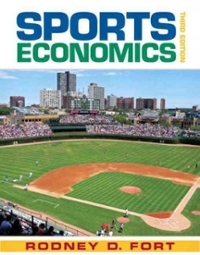 Sports Economics 3 Edition Offer a dose of economic thinking to the business of sports. Sports Economics helps readers understand the business side of sports and how it impacts the games seen at the stadium or in the arena. The third edition features coverage on the role of electronic media, and the current economic situation.